The Lilydale Airshow is on again and to help celebrate this fantastic event, the AOPA Australia has put together an awesome day of activities for members and guests, Saturday 25th November. We are inviting AOPA Australia members to fly-in or drive-in to Lilydale Airport on Saturday (Airshow is on Sunday 26th November) to take part in an exclusive Yarra Valley wine tasting at some of the regions top vineyards! The days event is set to be a unique opportunity to meet fellow aircraft owners and pilots, in a social setting that will encourage open discussion on all things aviation and AOPA. After tasting and experiencing award winning wines and enjoying scrumptious paired cheese and fruit, AOPA Australia members will cap off their adventure with a visit to the Yarra Valley Chocolatiere and Ice Creamery, which promises to not disappoint. The days activities will conclude back at the Lilydale Airport, where our members will take part in the Yarra Valley Aviation’s Wings Awards, recognising the achievements of local pilots. The awards will be followed by a casual BBQ ‘hangar’ dinner, where members will be surrounded by beautiful aircraft and great friends. AOPA Australia will provide coach transport for members who are staying overnight, Saturday 25th November, to locations within 10km of the Lilydale Airport. Transfers will also include pick-up on the morning of the 26th November, arriving at the airport for the start of the days Airshow activities. The days activities are just $119 per person with the proceeds going towards the AOPA Australia Junior Pilots and Mobile Simulator Centre initiatives! This is not only a fantastic member event but a great way to show your support for our youth initiative. To book your place, call (02) 9791 9099 but be quick, as places are limited to just 45 people. I look forward to seeing you all on the day! Participating AOPA Australia members are invited to arrive at Lilydale Airport, no later than 10am – Saturday 25th November. Pilots must obtain landing approval prior to their arrival. Call (03) 9739 1211. Courtesy of Lilydale Airport and Yarra Valley Aviation, participating aircraft will not be required to pay landing or parking charges! The AOPA Australia Members Coach will drop-off participants at their respective accommodation to check-in. Participants will then be collected one hour later to commence the winery tour. *** MEMBERS ARE REQUIRED TO BOOK THEIR OWN ACCOMMODATION*** To help I have included a link below for the website Last Minute. The AOPA Australia has organised a spectacular day of Yarra Valley wine tasting from some of the regions top vineyards, enjoying award winning wines along with cheese and fruit. The days event is set to be a unique opportunity to meet fellow aircraft owners and pilots, in a social setting that will encourage open discussion on all things aviation. Yarra Valley Aviation is holding a Wings Award celebration, to acknowledge the achievements of local Lilydale Airport pilots. The AOPA Australia will be on-hand to help deliver some outstanding awards to the next generation of pilots, whilst participating in the post event casual BBQ dinner. Come and join in the fun at Lilydale Airport, Victoria! 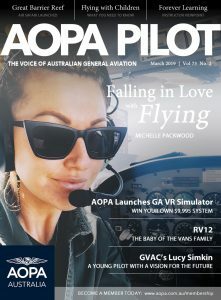 The AOPA Australia will be in attendance, supporting Yarra Valley Aviation and our Victorian members! Why not fly-in or drive in and help celebrate Australian general aviation! Fergusson Winery and Restaurant occupies twenty acres on the outskirts of Melbourne, in the unique and scenic Yarra Valley, home to over 50 wineries and 110 vineyards. The district, which was first planted to vines in 1838, is internationally renowned for the production of premium quality table wines. Our vineyard was originally planted by the Fergusson Brothers, Peter and Michael in 1968. The first commercial vintage was processed in 1973. Initial success saw the addition of the restaurant in 1975, with the wine sales facility opening to the general public in 1978. Today, the estate is managed by Louise Fergusson with her sons overseeing the growing and wine making processes. The vineyard is planted to classic French grape varieties, including Chardonnay, Pinot Noir, Shiraz and Cabernet Sauvignon. Many of the vines date to the original planting years, allowing the production of suburb wines from these “old vines”, as their lesser yields produce more intense flavours and aromas. When the saxophonist John Coltrane split with Miles Davis in the late 50s, he wasted little time releasing his visionary Giant Steps album. Owner Phil Sexton is a jazz fan and was inspired by the album and Coltrane’s foresight. When he sold his Devil’s Lair vineyard in Margaret River to relocate and replant in the Yarra Valley, he named his wine in Coltrane’s honour. Passionate foodies Ian and Leanne Neeland have developed a destination where you can indulge your love of chocolate and the creation of quality products. Set amongst one of Australia’s premium wine regions and surrounded by picturesque Yarra Valley vistas, an emerging orchard and sweeping lawns, our architect designed Chocolaterie is an experience the whole family can enjoy. The Lilydale Air Show is going to be a “don’t miss” event. There will be a flying display featuring drool-worthy aircraft; some that you might sometimes see at Lilydale and other birds that are as rare as they are impressive. There’s also plenty to see on the ground, with aircraft that are normally tucked away in hangars being out on display. Entry is from 11 am, with the flying display starting at 1 pm, and the cost is only $10 per car. The Lilydale Air Show is a celebration of the joy of flight and the AOPA Australia will be on hand to help interact with visitors, encouraging them to become part of our growing community. 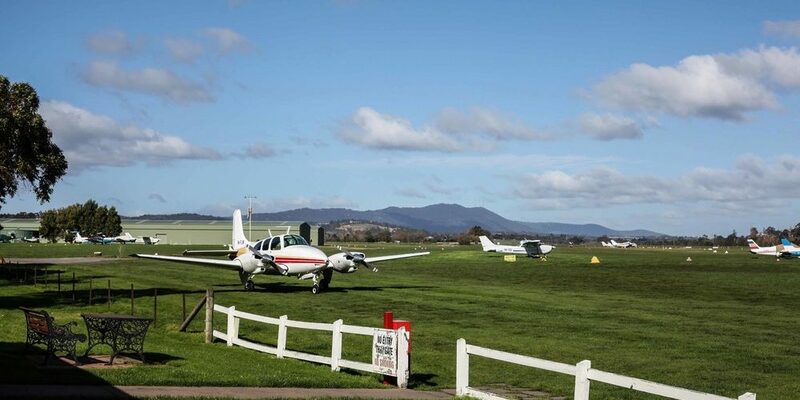 Lilydale Airport is situated on MacIntyre Lane half-way between Lilydale and Yarra Glen. Prior permission is required to land and this can be obtained in person or by phone from Flight Operations at Lilydale Flying School on (03) 9739 1211. Lilydale Airport is open 8.30am to 5.30pm 7 days per week. Runway lights are available by prior arrangement and are pilot activated on CTAF 119.1. WIN a $1,499 GARMIN D2 Charlie Titanium!